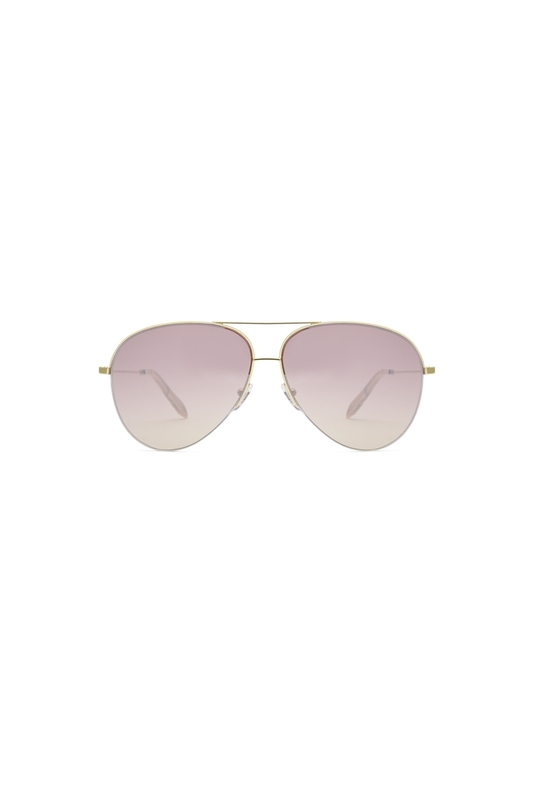 Victoria Beckham classic Victoria is a classic metal aviator style. Victoria Beckham classic Victoria is a gold metal aviator with Rose graduated Zeiss lenses with an exclusive AR coating. Each pair of Victoria Beckham sunglasses is gauranteed for a year and comes with a hard case and an authentcity card.